Meghan has been practicing yoga since she was a child, having been brought up with it as her mother is an instructor. Listing its benefits in an interview with Best Health magazine, she credits “increased flexibility and muscle strength, greater happiness, increased mental focus, a greater ability to relax, decreased anxiety and better sleep” all to yoga. With various studios around London, Triyoga offers pretty much every kind of flow including hot yoga and candlelit evening classes—both of which Meghan adores. I think she’d particularly like the charming Camden studio, which also has a plant-based eatery called The Nectar Cafe, run by sisters Nadia and Katia Narain who recently published a book on self-care. Meghan loves running for body and mind—she once told Shape that it’s her form of “moving meditation.” Luckily for her, London’s most famous royal park, Hyde Park, is on the doorstep of her new home at Kensington Palace, so she could start her day off by running around with her beloved dog. Meghan is a huge fan of Metaformer Pilates, telling Harper’s Bazaar that it’s “the best thing for your body” and that she sees results after just two sessions. She’s a longtime Platinum Pilates attendee, so I think Studio Lagree would be the spot to keep up her practice in London. They have four studios, the most luxurious of which is in the Nobu Hotel, Shoreditch. If Meghan’s after a private Pilates instructor to train her at home, Zoe Jarchevska of Maia Well Co and Lottie Murphy are two of the best in the city. Meditation expert and mbg class instructor Light Watkins told InStylethat Meghan meditates “twice a day, every day” and finds it “wonderful.” In London, Meghan might like to visit Re:Mind, a blissful drop-in meditation studio and eco shop. They have many classes, which vary in style and focus, ranging from Reiki to sound healing. 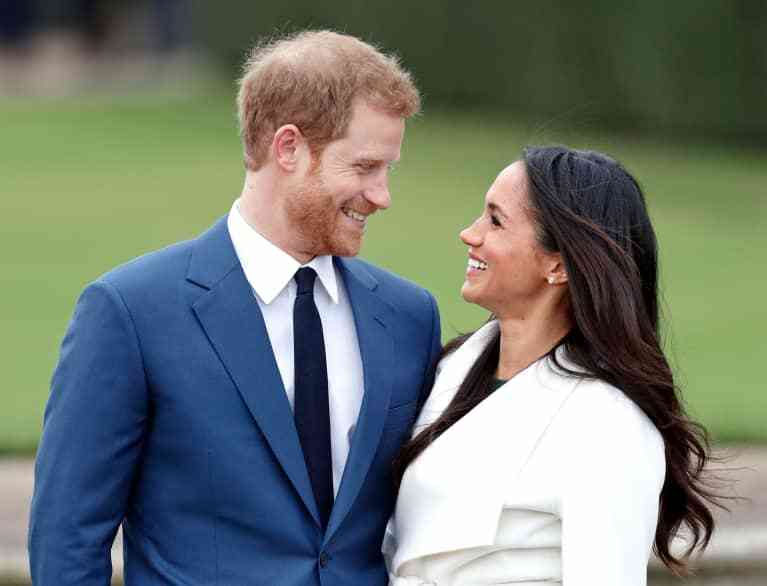 Prince Harry has reportedly been indulging in full-body cryotherapy sessions ahead of the big day, and Meghan’s facialist Nichola Joss has also previously praised this deep-freezing treatment, which sees you standing in a -80°C chamber for three minutes. Known to reduce inflammation and speed up muscle recovery between workouts, some see it as an ideal way to supplement an active lifestyle. 111Cryo at luxury department store Harvey Nichols was applauded by British Vogue as “pioneers” in cryotherapy, and as it’s just a short stroll away through Hyde Park, Meghan might be keen to try out her new local cryo clinic. This ladies’ only health, medical, and lifestyle club is a one-stop shop for all things well-being. POPSugar told how Pippa Middleton had enrolled in a three-month “strict bridal body boot camp” ahead of her wedding last year. With stunningly elegant surroundings fit for a princess, Grace Belgravia is flooded with light and home to an amazing gym, spa, integrated medical clinic, and vibrant, healthy restaurant. I think Meghan would enjoy the menu, which includes buckwheat pancakes, kale, and seaweed salad and her favorite, avo toast—served with goat cheese, parsley, tomato, cucumber ribbons, and arugula. Noted in Chalkboard mag as being a “longtime believer in acupuncture and cupping,” Meghan looks to traditional, holistic medicine and ancient techniques to help her reduce stress and encourage her body’s energy flow. If she fancies an acupuncture session in London, she could head to The Connaught Hotel’s Aman Spa. This dreamy spa, which lies just beneath the hotel’s Edwardian lobby, has been praised by British society magazine Tatler. Meghan previously sang the praises of celebrity facialist Nichola Joss’ Bespoke Sculpting Inner Facial, telling Birchbox that her “cheekbones and jawline are waaaay more sculpted” after incorporating the techniques used in the treatment. Marie Claire says that she’s booked in for another of these facials, which use deep lymphatic massage and contouring techniques (including massaging inside the mouth), ahead of her wedding day and will no doubt remain a regular of Joss’ now she calls London home. Another lady responsible for Meghan’s glowing complexion is Sarah Chapman, owner of Skinesis Clinic in Chelsea’s Sloane Square. The Skinesis facial was awarded “Best Anti-Aging Facial” by Harper’s Bazaar and is a winner with other celebrities including Victoria Beckham. Meghan’s perfectly groomed brows have been picked up on by many, and she enjoys heading to Nails and Brows for a full pampering session with founder Sherrille Riley when in London. She opts for “The Audrey Brow” treatment, which is inspired by Audrey Hepburn and includes Beauty Edit Mayfair products in dark dahlia pencil, the Brow Setter gel, and Brow Muse Highlighter. Starting out as a nutritious food-delivery service, The Detox Kitchenhas two delis in the city, both of which serve delicious, seasonal, and creative salads, juices, smoothie bowls, and superfood lattes, which I think Meghan would be into. She loves cooking and is predominantly plant-based, so she might even like to try out some of the recipes from founder Lily Simpson’s new cookbook, Detox Kitchen Vegetables. OK, so buttercream and sponge cakes don’t exactly scream “wellness,” but this quaint East London bakery has been given the monumental task of creating Meghan and Harry’s wedding cake, which is said to be a lemon elderflower cake that will somehow “incorporate the bright flavors of spring” according to Kensington Palace. Meghan interviewed Violet’s owner and fellow Californian Claire Ptak a while back for The Tig and found they both share a passion for seasonal, organic ingredients. Health food mecca Erewhon hasn’t made its way to London just yet, but in the meantime, Meghan can pick up her daily essentials from Planet Organic. Tackling waste reduction and promoting sustainable shopping, most branches have dried goods counters where you can fill your own bags or containers. The Westbourne Grove location is just a stone’s throw from her new Hyde Park home.